As the end of the year quickly approaches, the return of the annual World of Concrete tradeshow is on the rise. With over 600,000 net square feet of indoor and outdoor exhibit space and more than 1,100 exhibitors, World of Concrete 2015 will be the largest show in over six years. 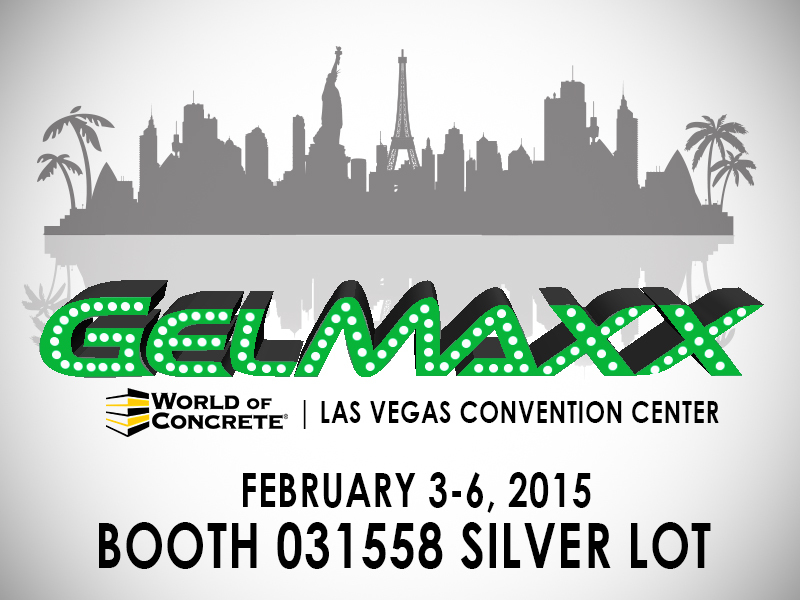 On February 3-6, 2015, Gelmaxx will be exhibiting center stage at the main event in booth 031558 on the Silver Lot. Taking place at the Las Vegas Convention Center, the World of Concrete is the epicenter of any and all these things concrete related. We’re excited for another chance to meet you all face-to-face and to show what our products can really do. Make sure talk to us about any questions and concerns regarding your job applications. Your feedback helps us improve our products and address issues that would have otherwise been unknown. Since the beginning of 2014, OSHA has proposed new silica dust regulations that will soon be put into effect. If you’re on the fence about attending this year’s convention, this is the perfect opportunity to find new products and technology to help prepare you for the changes that are about to come. If you would like to learn more information about OSHA’s proposed regulations, click HERE. We have certainly grown this year and are proud to state that we now offer Gelmaxx products in Illinois and Georgia, in addition to our 26 other worldwide locations. And through the course of 2014, we have added the 14 lb bucket of ECO-QUICKgel slurry solidifier to our product line. The new product size is perfect for small to medium size jobs that require easy portability, and has a pop off lid for easy access and storage. If that doesn’t do it for you, how about discounted tickets? As an acting member of the Concrete Sawing and Drilling Association (CSDA), they are providing discounted tickets to the convention when you use source code "A26" during online registration. Also, we would like to offer you $30 exhibit-only admission tickets when you use source code "BUY" during online registration. Still need more convincing to go to the World of Concrete? How about the city of Las Vegas itself? If you have never attended the World of Concrete, this should definitely be the year. Make sure to stop by the Gelmaxx booth 031558 in the outdoor Silver Lot. And don’t forget to ask for FREE samples and a t-shirt!